Become a Born Free adopter today, and for just £3 per month, you can help provide the care and protection these beautiful animals deserve. Supporting an endangered animal charity through adoption is a great way to help fund our work to protect rescued and threatened species. 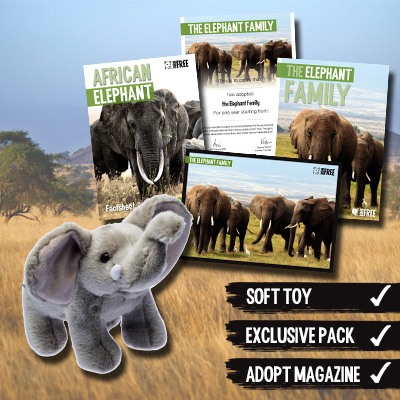 Not only will you be providing invaluable care, you will also receive a great gift pack, soft toy and our Adopt! Magazine twice a year. If your friends and family are animal lovers, Born Free adoptions also make the perfect gift.